If you believe your loved one has been abused or neglected in a Georgia nursing home or long-term care facility, there are steps you can take. But, there is no time to waste. Use this website to find out what you can do. Better yet, contact our law firm and allow us to help you. The terms nursing home abuse and nursing home neglect refer to willful or negligent conduct on the part of those caring for and treating nursing home residents. Examples of abuse include punching, slapping, pushing, or unnecessarily isolating, restraining, or sedating a resident. Neglect involves unintentional acts that result in serious injury to a resident, such as a failure to reposition a patient so as to prevent bedsores, or a failure on the part of the nursing home to take measures to prevent falls from occurring. What type of recovery can I expect in a nursing home case? Economic damages or “special damages”, as they are also often called, are those types of damages which have a clear dollar amount associated with them. The main types of economic damages in nursing home abuse cases are medical bills. Non-economic damages—sometimes called “general” damages—are more difficult to value than economic damages, in that there is no specific formula that we can use to help calculate them. Their amounts are left almost entirely to the imagination of the jury. Non-economic damages include such things as pain and suffering, loss of enjoyment of life, and mental anguish related to the abuse or neglect. Non-economic damages are generally the biggest component of the damages recovered in a nursing home abuse case. Punitive damages are very tightly governed by the state law and by the courts and, rather than to compensate the victim, are assessed for the expressed purpose of punishing the nursing home for acts of abuse or negligence that were intentional or of a particularly malicious or egregious nature. It is often a complicated process to determine how much a nursing home abuse case is worth. The ultimate answer to the question is “Whatever the jury thinks it is worth.” However, the context in which this question often comes up is when trying to value a case for possible settlement purposes—in order to avoid having a jury determine the ultimate outcome. We are Schenk Smith, your Americus nursing home lawyers. We specialize in nursing home abuse and neglect lawsuits, exclusively. We don’t represent those charged with DUI. We don’t handle car accident cases. Our commitment, expertise, and experience are in helping families bring claims against nursing homes for their wrongful conduct. Founder, Attorney Will Smith, worked as a CNA in Georgia nursing homes for many years and is dedicated to helping those victimized by nursing home abuse and neglect. Browse through our website, check out our video collection, and listen to our podcasts, then contact us to make an appointment to go over your case. We can meet you anywhere in Americus you like. By Americus Country Club, or near Lake Philema. We will come to you. Nursing Home Abuse & Neglect in Americus, Georgia- What you need to know. Americus, Georgia is located in County and has a population of 16,185 residents. Of those, 13.30% are aged 65 and older. How do I act on behalf of my loved one? If you want to act on behalf of your loved one, you must have the legal authority to do so. The easiest way to obtain this authority is with Durable Powers of Attorney. A Durable Power of Attorney is a legal document that must be filled out and signed by your loved one (if they can). This document grants you the legal authority to act on behalf of your loved one in certain situations. Once executed, a Durable Power of Attorney will remain in effect even if your loved one becomes incapacitated later on. A Healthcare Directive will empower you to make medical decisions on your loved one’s behalf, including choosing the physician who treats your loved one, what type of treatment your loved one will receive, and the choice of nursing home or long-term care facility they will be placed in. A Healthcare Directive is often accompanied by a document referred to as a Living Will, which expresses your loved one’s wishes when it comes to end-of-life treatment or life support. A Financial Power of Attorney has a much wider scope and will empower you to handle most of your loved one’s legal and financial matters. For example, those matters involving the transfer of funds, the sale of assets, taxes, and access to protected information. If your loved one does not execute this document before becoming incapacitated or unable to do so, you may still be able to petition the Court for Conservatorship. This will grant you many of the same rights granted by a Durable Power of Attorney. Obtaining Conservatorship, however, can take a lot of time and cost a lot of money. This is why when caring for an elderly relative, it is always best to get a Durable Power of Attorney in place as soon as possible. Is the nursing home required to keep my loved one from falling? Every property owner is required to make sure that their property is kept in a reasonably safe condition and free of hazards. So, in this case, a nursing home would be just like any other property owner. If there is something about their property that wasn’t reasonably safe and, as a result of that, someone falls and gets hurt, whether it’s a slip and fall accident or anything else, then the nursing home can be held responsible. Providing residents with assistance when they need to go to the bathroom or perform other daily tasks. Not every fall is preventable. But some nursing home falls are due to the carelessness of the nursing home and its staff and could have been prevented. And in these cases, the nursing home may be held responsible. I want to get my loved one out of that nursing home- What should I do? There are a variety of reasons why you or your loved one may feel that they need to leave the nursing home where they are staying. For example, because you suspect issues of abuse or neglect, feel that the nursing home is incapable of providing the type and quality of care your loved one needs, or that you or another facility may be better suited to for the job. The most important thing to do before taking your loved one out of a nursing home is to make sure that you have made alternative arrangements for their care in advance. This can mean either finding another nursing home where you have visited, interviewed the staff, and are very comfortable with, or hiring in-home nursing care to help you care for your loved one in your own home. Whatever you decide, it is especially necessary to ensure that the proper arrangments have been made before removing a loved one who needs a great deal of care from a nursing home. My loved one was hurt in a Americus nursing home- What do I do next? If your loved one was severely injured or passed away at a Americus, Georgia nursing home, then we recommend that you act as soon as possible to protect your loved one’s rights. You can also file a complaint with the Georgia Office of the State Long-Term Care Ombudsman. The Long-Term Care Ombudsman program certifies and trains local ombudsmen to work on behalf of nursing home residents and to resolve problems with nursing homes and long-term care facilities statewide. Ombudsmen have the authority to intervene on behalf of a nursing home resident or their legal representative in cases of abuse or neglect. If your loved one has been the victim of abuse or neglect that amounts to a criminal act, such as a physical or sexual assault perpetrated by a member of the nursing home staff or a co-resident, you might want to file a police report. If warranted, the District Attorney’s Office may bring criminal charges against the perpetrator. For abuse occurring in a Americus, Georgia nursing home, report the crime to the Police Department of Americus or to the Sumter Sheriff’s Department. In cases of serious abuse or negligence, it may be best to move your loved one to a different nursing home. But, identifying a safer, more trustworthy facility that will accept Medicare or Medicaid and that is conveniently located can be challenging. The Centers for Medicare and Medicaid Services (CMS) have developed a website that rates every nursing home in the state that accepts Medicare and Medicaid. The ratings are based on criteria such as the quality of service the facility provides and the ratio of nurses to residents, as well as, the result of physical inspections. Nevertheless, it is advisable to personally perform additional research on any prospective nursing home. Speak with the nurses, the staff, and existing residents. Ask to be shown around the facility. Be cautious of facilities that seem vacant or where the administration or staff seem reluctant to provide you with details about the service they provide. For your convenience, a list of all nursing homes located within Americus, Georgia is located below, along with their contact information and inspection scores. In many cases, to properly evaluate your loved one’s claim we will need to do so from a medical perspective. We will need to know the severity of their injuries, their medical diagnosis, the cause, and what treatment is prescribed. This information can usually be found in the individual’s medical records. In order to obtain your loved one’s medical records, you will have to submit a formal request to the hospital or nursing home. However, Federal law prohibits anyone other than the patient and/or his or her legal representative from having access to their medical records. This means that to obtain your loved one’s medical records, you must prove that you are legally authorized. Generally, this will require a durable power of attorney, health care directive, or guardianship documents. Without the proper document, you will most likely be refused access to the needed medical records. If your loved one suffered injuries in an Americus, Georgia nursing home, they were probably treated at the following medical facility. Use the contact information to request information about your loved one. Your loved one’s estate must be opened in probate court before you can bring a lawsuit on its behalf. If your loved left a will, then the person it appoints as executor can open the probate estate. If your loved one did not leave a will, then anyone, most often a surviving family member, can open the estate and petition the court to be appointed its administrator. The executor or administrator acts on behalf of your loved one estate to, amongst other things, settle debts and collect money owed to the estate. After the probate estate has been opened, its executor or administrator can also bring a lawsuit against the nursing home that abused or neglected your loved one. A probate estate should be opened in the county where your loved one was living at the time of his or her death. In most cases, this will be the county where the nursing home is situated. The quality of a nursing home varies from facility to facility. Listed below are nursing homes in Americus, Georgia, accompanied by essential information taken from CMS’ Nursing Home Compare Website. We understand that there are many attorneys available for you to choose from. But, we would appreciate your serious consideration as potential legal representatives for you and your family in this time of need. We Specialize: Holding nursing homes accountable for abuse and neglect is the only thing our law firm does. We don’t fight DUI charges. We don’t handle divorces or pursue car accident claims. We concentrate our practice on nursing home law because that’s what we need to do in order to be the best. In other words, so that we can be the best at maximizing your recovery. 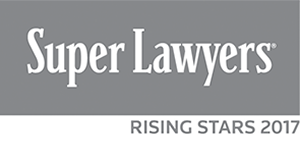 Industry Recognition: Attorneys Rob Schenk and Will Smith have been acknowledged by the Georgia legal community as Rising Stars who are more than just top-notch trial lawyers, but teachers also. Our law firm produces weekly podcasts and hundreds of videos every year that deal with nursing home abuse. Customer Service: We are the top-rated Google reviewed law firm specializing in nursing home abuse and neglect in Georgia. Take a moment to see what past clients have to say about us. If your loved one was injured or died in a Columbus, Georgia nursing home, please call us at Schenk Smith (678) 823-7678 for a free consultation. You can also check out hundreds of video FAQs on our website.